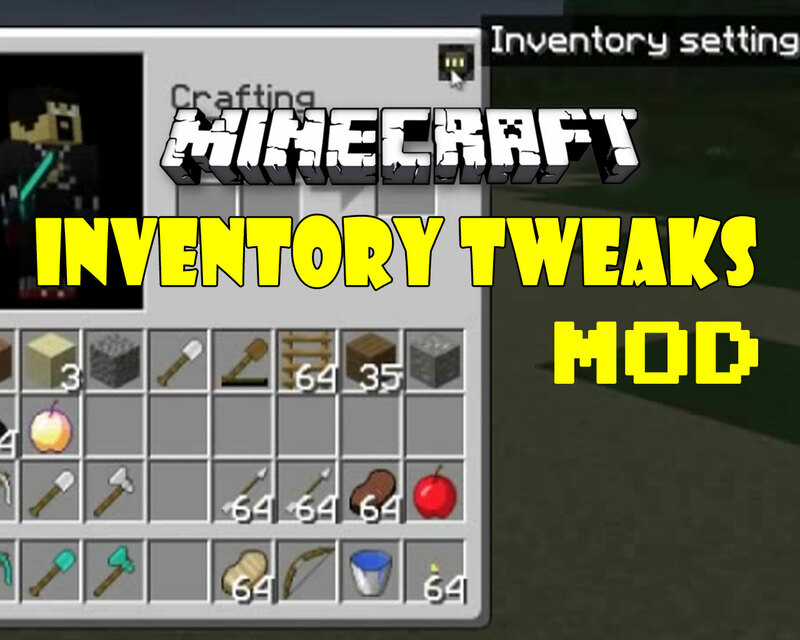 The inventory tweaks mod is a wonderfully useful mod for organizing your Minecraft inventory. 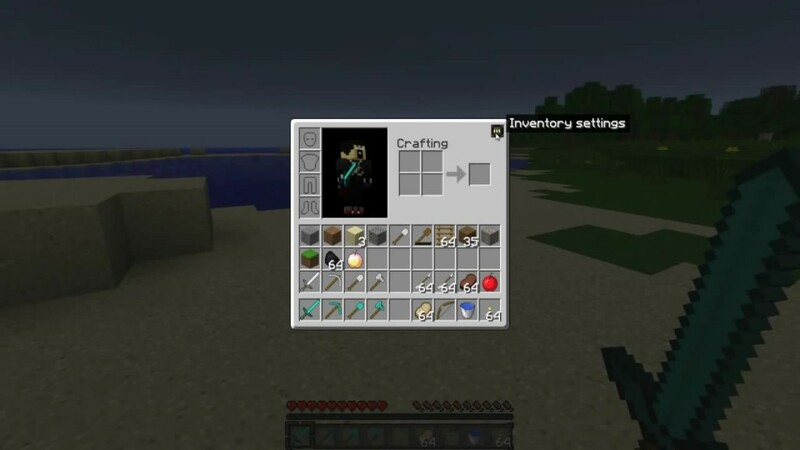 With this mod you'll never have to break your flow to sort through a cluttered inventory again. The inventory tweaks mod for Minecraft was made to ease up the tedium of moving items around in your inventory. 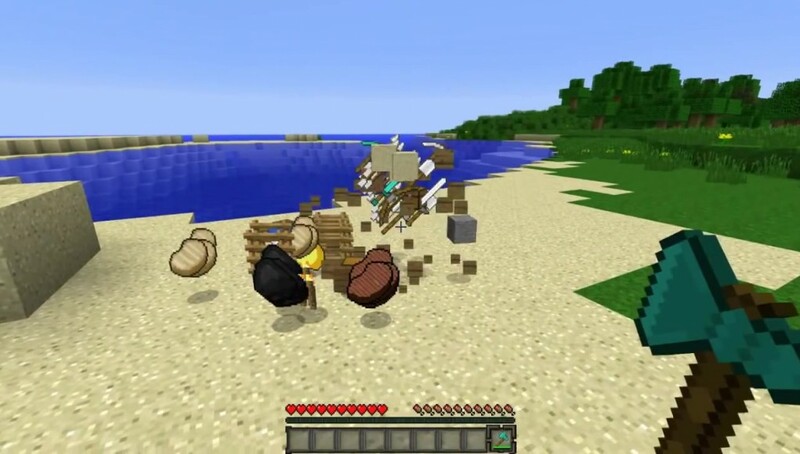 Players are always coming across all kinds of blocks and items that clutter up their inventory, from gravel to bones to tools. This can make a real mess of your inventory, especially for players who like to run an orderly stock! Each player organizes their inventory in their own way, and this mod accommodates that. 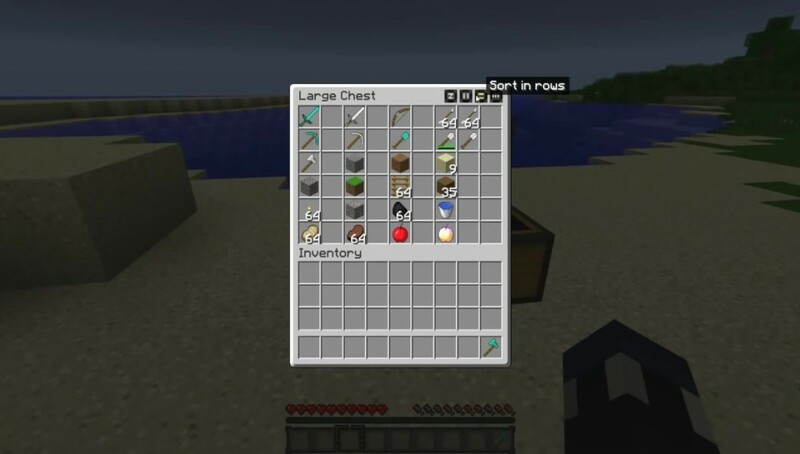 You can determine exactly how blocks, items, and consumables are sorted. 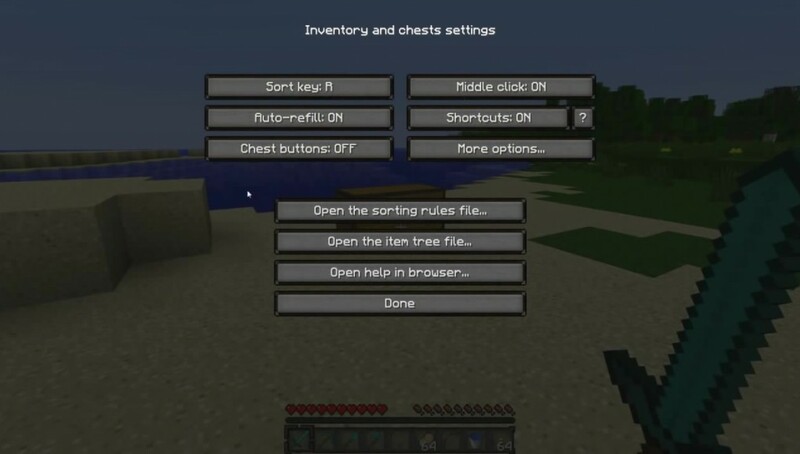 This allows you to key in the mod’s behavior to exactly match the inventory schemes you’re already comfortable with. 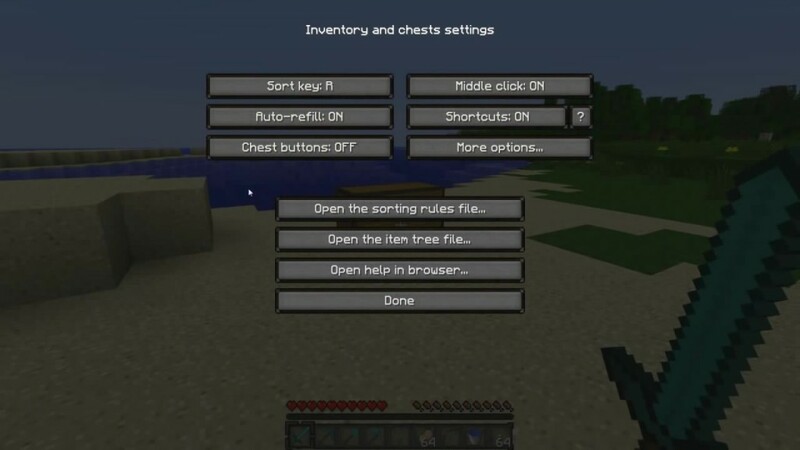 If you’ve never really cared for organizing your inventory, then this mod will open up a whole new world to you. It’s great for both the obsessive and the carefree. This mod can really help you get back to the mining in Minecraft. One of the most useful features is automatic tool replacement into the hotkey bar when a tool is broken or thrown. No more breaking your flow to sift through ores and meats for that pickaxe replacement you need. Time is a valuable resource in Minecraft. Every moment wasted on scanning that cluttered grid for what you need is daylight lost. Every weapon that breaks in the heat of combat can lose you that critical strike. Every block you need to search for is time taken from building the next architectural landmark. 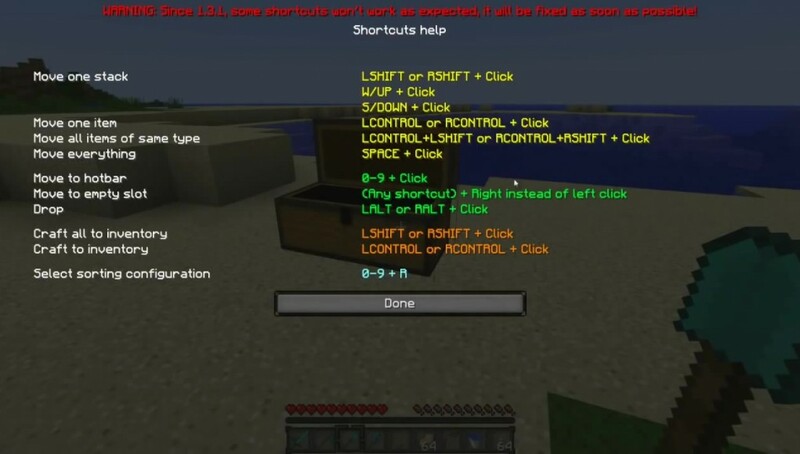 This mod does all of that for you, saving time and headaches. Tired of having to drag new tools into use or search through a dozen different clusters of sand to find that stack of iron? This is the mod for you. It will save you time and vastly improve the overall experience.